I was compensated for this post. All opinions formed are mine. I don't recommend products, companies, etc to my readers unless it's something I truly believe in. I think we can all agree that every child deserves the chance to be a kid and enjoy life. That's why we have child labor laws, why toy companies flourish, and why so many parenting books have sections or chapters on letting kids play. But for kids with chronic medical conditions or serious illnesses who spend much of their time at doctors' offices, therapies, and in the hospital, they don't get many opportunities to be a regular kid. They often feel isolated from their peers and lonely. 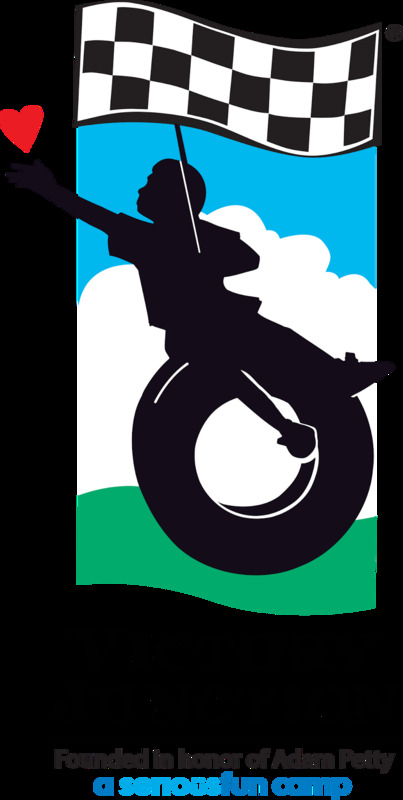 That's where Victory Junction comes in. This post contains referral links which means that if you purchase from one of my links, I will receive a small percentage of the sale. Here are 10 rookie parenting mistakes that I still make. Repeatedly. Who here doesn't like Gymboree? I don't see any hands raised so I'm going to assume you all do. Also, I can't actually see you so if you do have your hand raised, you're kind of out of luck. So have you heard about Gymboree's new partnership with Stitch Fix? Is your mind blown yet? I know mine is! I love the cute, quality clothes that Gymboree has for kids and the way that Stitch Fix does the work of putting together an outfit for you. You get the best of both worlds (props to Hannah Montana for that line). 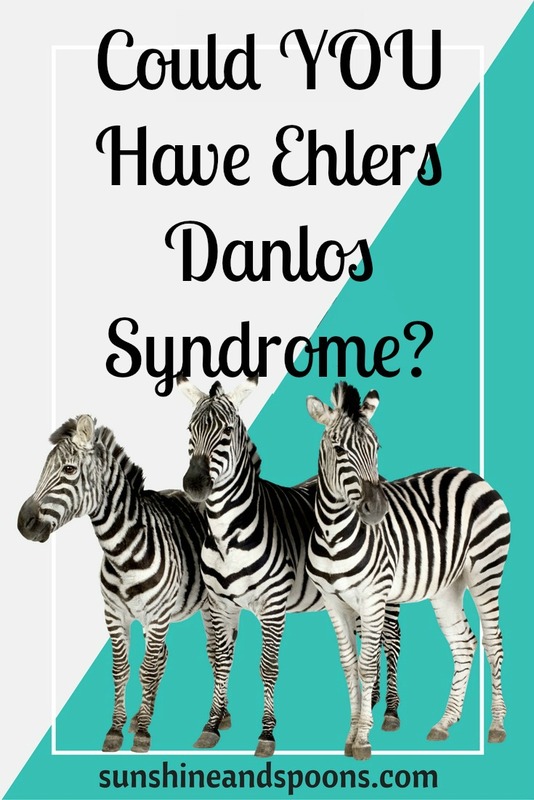 Could You Have Ehlers Danlos Syndrome? With Ehlers Danlos Syndrome frequently undiagnosed or misdiagnosed, it's important that people know the signs of the genetic syndrome. It's estimated that 1 in 2500 to 5000 have Ehlers Danlos Syndrome or EDS, but so many people, including doctors just don't know what it is. It's also estimated that 50% of people who are diagnosed with fibromyalgia actually have EDS. You may also like Could I have Ehlers Danlos Syndrome? Unless you've been diagnosed with it or know someone who has, you probably haven't heard of Ehlers Danlos Syndrome. Among those who have heard of it, many don't actually know what it is. 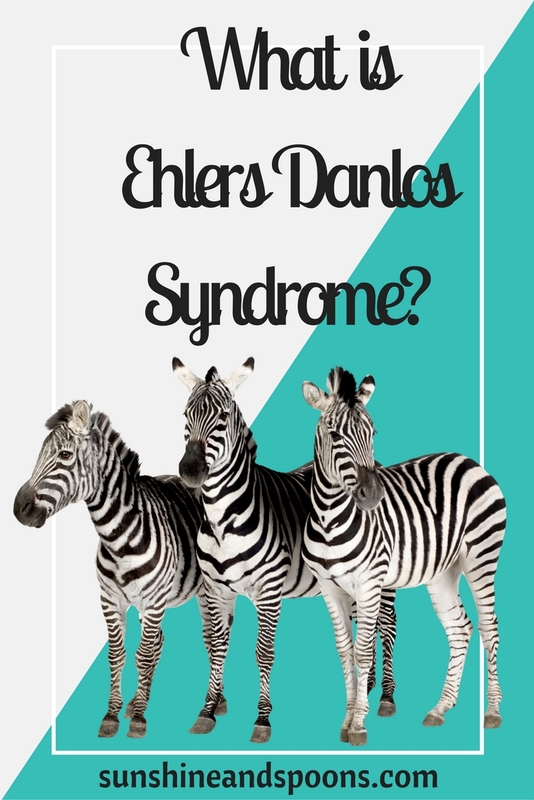 Ehlers Danlos Syndrome (pronounced ay-lers dan-lohse) is a collection of genetic connective tissue disorders. It affects the body's collagen which can lead to symptoms in every part of the body. Collagen is the glue that holds the body together and when it's faulty, the body can literally fall apart. Collagen can be found in the skin, eyes, muscles, ligaments, blood vessels, organs, gums, etc. which means that all of those systems can have issues due to EDS. In case you haven't heard, it's World Breastfeeding Week (August 1-7), a time to raise awareness and increase education for breastfeeding. It's a good thing, it really is. But I've met more than one breastfeeding supporter who took the Breast is Best slogan just a little too far. 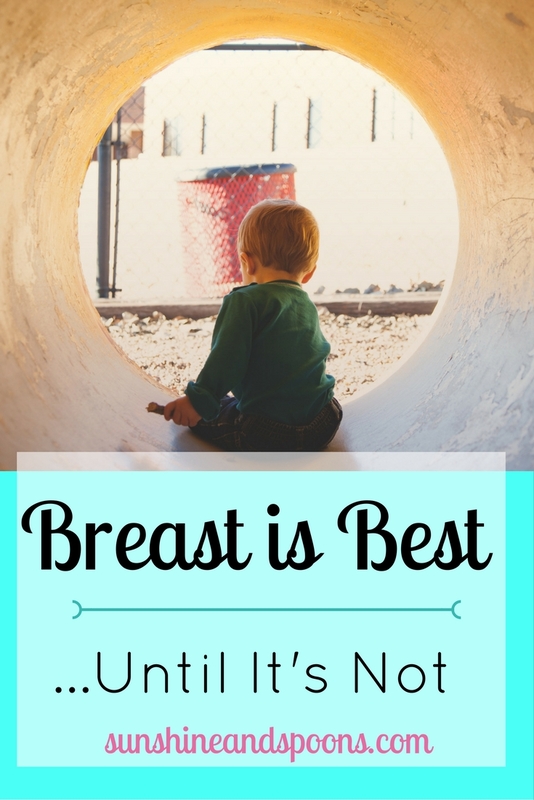 Breast is only best if it's working for both mom and baby. Let me fill you in on my history with breastfeeding so you'll see what I mean. I breastfed Katie for a year. 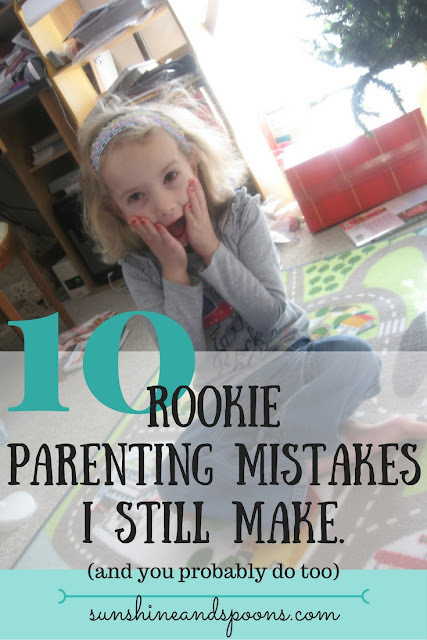 It was an incredibly rough start, and we both cried a lot in the beginning. I had to supplement with formula because no matter what I did, I just didn't have enough milk for her, but at least we made it to a year.